VNOG Blog: Animation Insiders book is back online - for FREE! 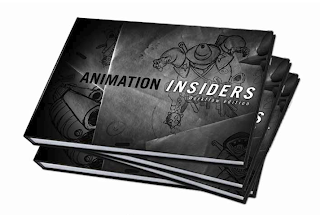 Animation Insiders book is back online - for FREE! A few of you have contacted me about getting a copy of the Animation Insiders book by Patrick Beaulieu, which features interviews and workflows of many working animators, including myself. It was released in print last year, then as an eBook, and then it disappeared. Now it's back, and Patrick is making it available as a free PDF download. Here's a link to the download site. Thanks for your generosity, Patrick! UPDATE: Link seems to be working again! The original link to the Animation Insiders free eBook is working again (see above).